My first proper Autumnal recipe of the season! 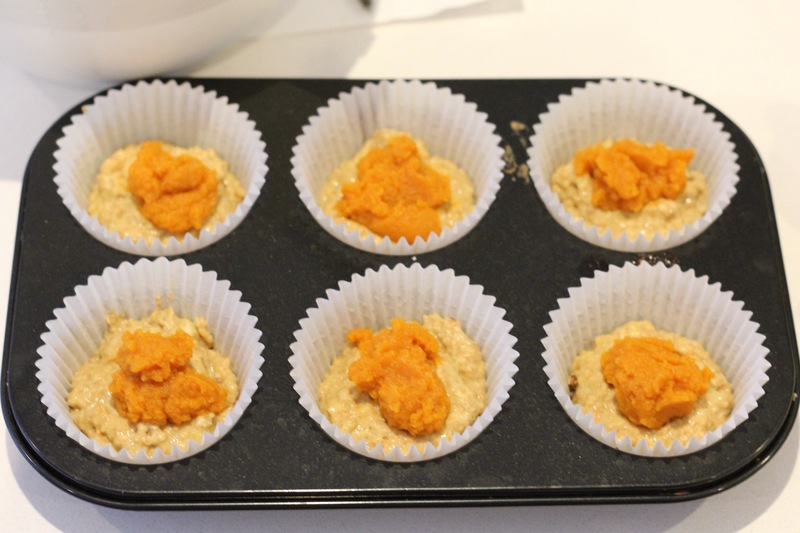 I LOVE using pumpkin puree in my bakes and I also love making raw protein balls with it but that’s another recipe! I find ‘baking buddy natural pumpkin puree’ the best and easiest to use and you can find it in Tesco. 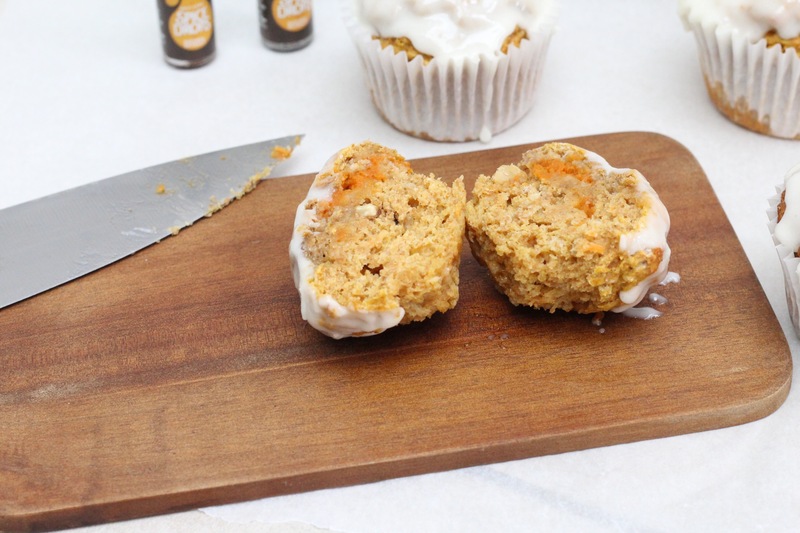 So for this particular recipe I actually started out with my carrot cake muffin recipe that I have been working on in order to perfect it, but then I though, why not add pumpkin!? 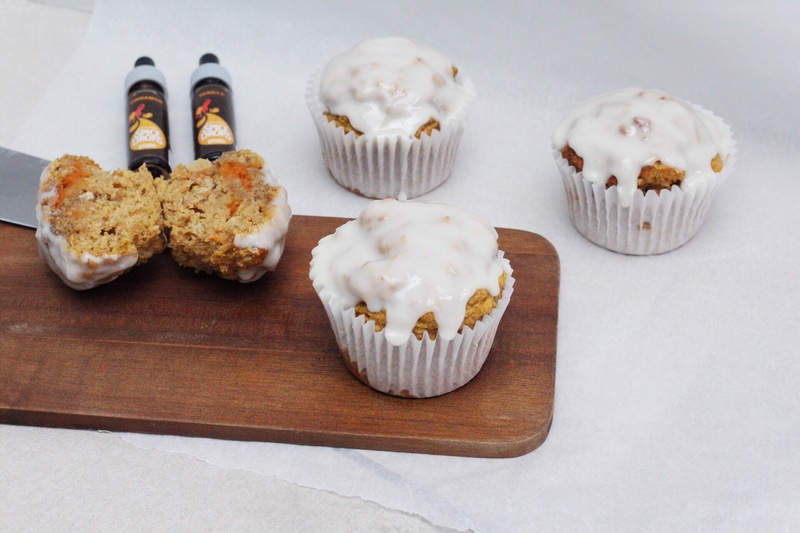 What gave these little treats such a lovely taste was holy lama vanilla and cinnamon spice drops… They really do taste like Autumn! Now these you can enjoy with or without the vanilla icing- it depends whether or not you want to have them as a healthy snack or a bit of a treat- or it can just be down to how sweet you would like them to taste. Preheat the oven to 180 degrees celsius and prepare a cupcake tray with 8 cupcake holders (can use paper ones or silicon moulds). In a bowl, mix the flour, sugar, ground almonds and baking powder. In a separate bowl, mash your banana, and add the egg, melted coconut oil, vanilla essence and cinnamon spice. Add this to the dry ingredients. Then gradually add your cashew milk, stirring as you go along to combine all the ingredients. Now, depending on whether or not you prefer a pumpkin filling or you want to mix all the pumpkin in together, add either half a cup or the full cup to the mix. The half you choose not to use will be a filling for the muffins. Lastly, add the grated carrot and stir in gently. 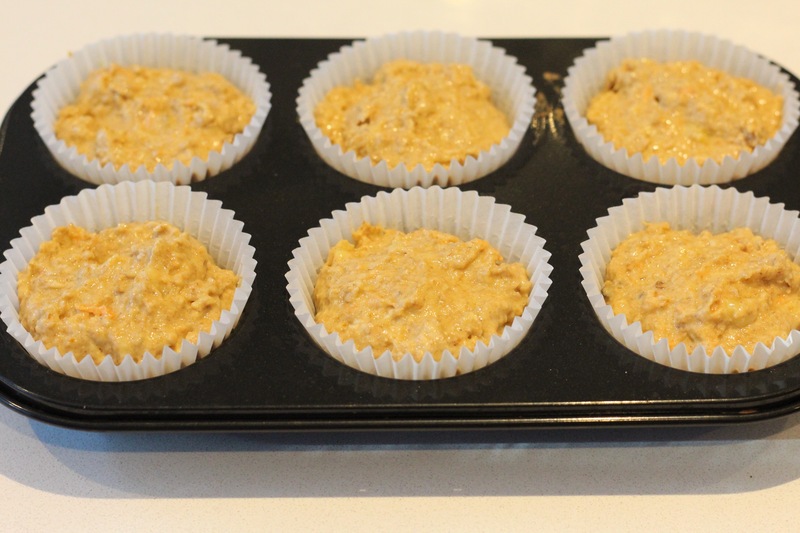 If you’ve chosen to go for a pumpkin filled muffin then spoon some mixture into each cupcake mould (only half full) then place a little scoop of pumpkin on top (as shown in the picture). 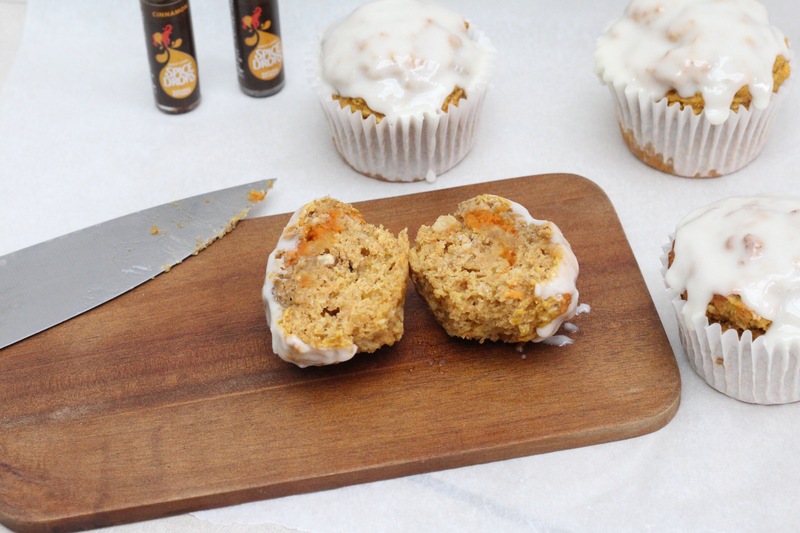 If you’ve chosen to mix all the pumpkin in then simply spoon your mixture evenly into each cupcake mould. Mix all ingredients into a bowl- if you wanted more of a glaze than an icing then add a little more milk or water to the mixture. These will last for up to 5 days. Keep them sealed (either in an airtight box or clingfilm) refrigerated. I have never seen pumpkin puree in the shops, so intrigued which Tesco you found it at! I will have to keep looking this month to see if I can find some squirrelled away somewhere…. 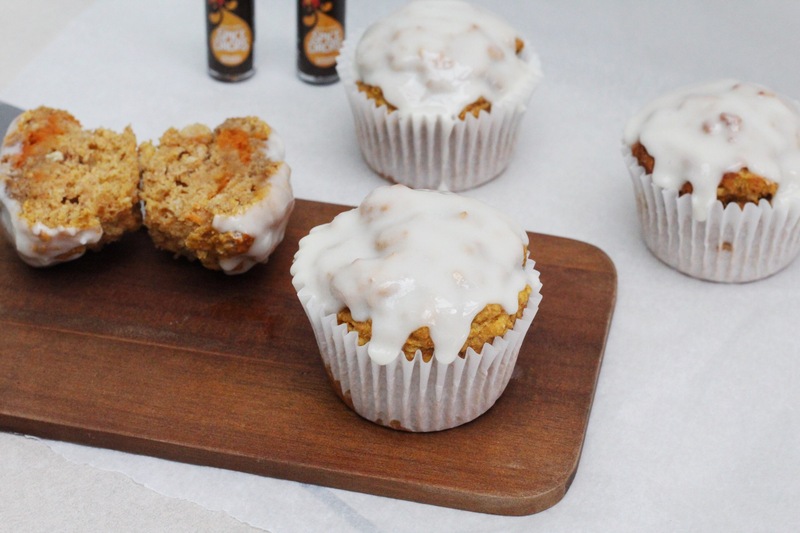 I’m yet to bake with pumpkin purée, these muffins look and sound incredible!! Ah thank you I hope you try them!